The Chocolate Mocha Caramel Macchiato Cupcake with Chocolate Mocha Ganache and Vanilla Buttercream topped with Caramel Sauce. Whew! That’s a mouthful! And I loved creating it. This was inspired by our walk down the Hauptstrasse in Heidelberg (almost always some part of our walk is on this Main Street). We stopped at our favorite Starbucks, grabbed a comfy seat, and fired up our iPad minis (or is that iPads mini?). I was sitting there listening to the patrons order their beverages…and the Caramel Macchiato sounded sooo interesting. When I arrived back home, I ran a quick search on the Starbucks website and read all about it. “I can put those flavors together…who doesn’t love cream and caramel?” Add chocolate and the scrumptious factor goes up exponentially. This was just a simple recipe I put together based on my go-to Hershey’s chocolate cake. 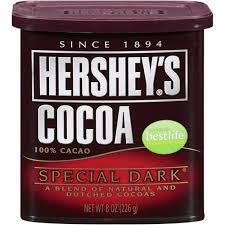 Hot tip: I always (yeah, I’m using an absolute) use Hershey’s Cocoa Special Dark for my chocolate cake. When my life partner/husband asked me about my chocolate cake I told him I used dark chocolate. He says, “But I don’t like dark chocolate.” Last word on the subject, “Well, you like these and I’m not changing them.” Anyway…for this cupcake, I replaced 1/3 of the boiling water with espresso. I don’t think I tasted it – if you prefer a strong coffee flavor, maybe turn up the volume on this component. The ganache went really well. I follow a very simple formula of 12oz dark chocolate (somewhere between 63% to 70%), 8oz whole milk (or heavy whipping cream), 2t dark vanilla. For the chocolate mocha, I replaced ¼ c. of the cream with espresso. Again, I couldn’t taste it, but maybe it added a back note? I let it cool in the fridge overnight and it piped on beautifully this morning. The Vanilla Buttercream is my favorite and a star in my cupcake creations. The Caramel Sauce is brown sugar, heavy cream, butter, and dark vanilla. If I could, I’d spoon it on anything worth eating…seriously, it’s a gateway drug. I debated on whether to top this cupcake with some type of crunch for a change in texture. Going back to the Starbucks inspiration, I opted to keep it as close to the original as possible (though in my heart I wanted to top it with a chopped toffee chocolate candy bar or even a simple animal cracker cookie). I set up the kitchen table with cake plates and flowers in order to take some schnazzy pictures. Believe me, I’m in over my head with trying to get things to look nice with my digi-cam. I might be a lot of things, but I’m no food stylist (and I didn’t know that job existed until I started trolling the Food Network). I think some of the photos are too busy. My moments of understanding and clarity were related to developing this recipe. Unlike preparing savory foods that can be tasted during the cooking process, baking requires more patience for recipe development. What goes into the batter cannot be tasted until the product comes out of the oven. Every bit of nuance or flavor adjustment can only be evaluated at the end. I prefer immediate gratification. Baking forces me to slow down. Such a wonderful gift. Mmmm!! Sure wish I could sample some of those right about now. Iceland probably has a better selection of delicious cakes than Germany, but it's still pretty slim. These look amazing. Your photos are looking great! I CAN'T WAIT for you to enjoy some of my cakes and cupcakes, seriously. I don't even know which cake is your favorite! Also, I need all the photography help I can get. Maybe you can put me on your books...December, maybe?